At Aspirin Business Solutions we want to make being successful in business easier. Through our Sustainable Growth Programme, we help companies develop and implement their own sustainable strategies. We aim to make it an enjoyable experience, packed with opportunities to explore, learn and share. Our clients tell us they become focussed and clear. Life gets easier because they know exactly how to achieve their goals and perform well. They have the time and energy to be more creative and get involved in more strategic projects, and build stronger relationships. These strong individuals come together to form even stronger teams, finding support and greater enjoyment through working together on an agreed strategy. We love working with owner-managed companies who genuinely care about both people and profits. We specialise in helping technical teams, including access control, engineering, environmental technology, facilities management, landscape design, manufacturing, quantity surveyors and veterinary services. There’s lots more information on the website. So if you’re growing your business and want help, take a look around. As the leading trolley maintenance provider, K J Pike and Sons Ltd have been established since 1976 and have experience in responding cost efficiently to the demands of the customer. Working closely with international trolley manufacturers and utilising our own experienced and fully trained engineers together with in house professional personnel, we are able to offer the ultimate service package nationwide. The Broadstone Link, The Corfe Mullen Link, The Kinson Link and The Upton Link are totally independent business directories and community based magazines, targeting local residents and encouraging them to use local businesses. 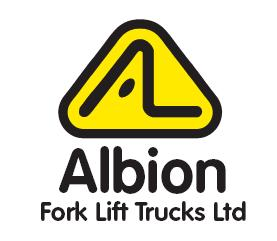 Albion Forklifts Ltd is the south's leading independent new and used material handling equipment supplier. Locally based call centre and phones answered by people who know the industry. Quality pre-owned forklifts and stackers all with warranty and lifting certificates. Rental or lease purchase contracts to suit every budget. Comprehensive short or long term hire fleet of Reach trucks, counterbalance, narrow aisle machines, multidirectional handlers, rough terrain trucks and telehandlers. Field service engineers with well equipped service vans including on-site LOLER certification, hydraulic hose replacement, tyre fitting service, traction battery supply and repairs, servicing and breakdowns with no call out charge. Spare parts supplied for all makes of truck. Full workshop facilities offering complete machine overhauls. Our own transport for same day delivery. At Aris Jewellers we have been supplying the trade and our private clients with the very best in customer service and satisfaction. A family run business, we take the greatest pride in design and manufacture, so you can be sure that special piece of jewellery will last a lifetime. Since 1967, the business now employs three generations of the family, and is currently run in partnership by two brothers. The workforce has a combined tally of hands-on experience of over 250 years. Tops Day Nurseries is a family of 20 nurseries across the south, with nurseries in Boscombe, Bournemouth, Charminster, Christchurch, Corfe Mullen, Gillingham, Lymington, Newport on the Isle of Wight, Plymouth, Poole, Portsmouth, Salisbury, Taunton, Wareham, Wimborne, and Winchester. Tops Day Nurseries is one of the most eco-friendly childcare providers in the UK, caring for children aged 3 months – 5 years as well as after school and holiday care for children up to 11 years old. Our nurseries are open from 6am-8pm Mon-Friday, 52 weeks per year including Bank Holidays. Each of our nurseries prides itself in offering a happy, safe and secure environment. Our trained and qualified staff are passionate about nurturing the children in their care. They offer a wide range of activities and learning experiences to develop young minds, from messy play and cooking, to problem solving, storytelling, creative play and trips out. Dream Doors in Poole and Christchurch is a family run business owned by Angela and Clive Coldwell, yet has the backing of a National company. We offer a quick, easy and economical alternative to replacing a whole kitchen. By replacing the doors and drawer fronts we can transform your kitchen at a fraction of the cost of a complete new kitchen - often saving you up to 40 - 50%. All our doors are made to measure - simply choose from our extensive range of styles and colours and our fully trained craftsmen will do the rest, saving you time, hassle and stress. We also offer a wide range of worktops, sinks, taps, appliances, lighting along with full kitchens, bathrooms, offices and bedrooms all installed by skilled tradesmen. All our properties are designed to make living easier and are built to the highest standards – just two of the many reasons we’ve been awarded the 5-star rating for customer satisfaction in an independent survey by the Home Builders Federation for the past 11 years. We are the only housebuilder of any size or type to ever achieve this. The Junction Sports & Leisure Centre is at the very heart of the community, continuing to deliver quality facilities/services for your health and fitness needs. Our Fusion Fitness is aimed at 11 - 15 year olds as an introduction to health and fitness. So whether it's using the Pool, the superbly equipped Cybex Gymnasium, the softplay Kidz Kingdom, available Function Room, Indoor Cycling facility, Tennis Courts, Sports Hall, participating in one of our fitness sessions ... The Junction is the only local venue for the Family..For Fitness ... For FUN. Forum Jewellers Ltd has built its reputation on service, quality products and experienced qualified staff who offer a warm and friendly welcome. This award winning family run business, established in 1982, is an independent jeweller with over 45 years experience. Forum Jewellers offers a superb range of quality jewellery and watches alongside the popular modern jewellery brands. All of our products are selected for their quality and value for money to you the customer. This website contains a brief overview of some of the products we carry. We invite you to visit the shop at any time to view our selections. Situated near Poole on England’s south coast, Eurac Poole Ltd is recognised as one of the leading grey iron foundries of its type in Europe. Using state-of-the-art plant and processes, coupled with a highly-experienced and well-trained workforce, we supply over 55,000 tonnes of cast product every year. Our quality-driven customers include vehicle manufacturers, the motor racing industry and high-end replacement part distributors. Has over 15 years experience of all different types of building work from bricklaying to painting and decorating, commercial and residential. We at Dave Bevis Haulage aim to give you a fast, friendly consistent service focusing on your exact needs, whether it is secure transportation or consultation, a box to a container we are always happy to help. Our reliable, ﬂexible and hands on approach to our customers is only rivalled by our drive and desire to always ensure the best possible service in the ever competitive transportation industry. Founded in 1969, operating freight service between Alderney and Guernsey. We now operate on a somewhat bigger scale than when we first started. Acorn Plastering was formed by its managing director Steve Frogley, who boasts an impressive 30 years’ experience within the construction industry. Completely covering all aspects of dry-Lining, plastering, screeding, rendering and ceilings, Acorn Plastering is able to deliver quality workmanship and with its large workforce can meet deadlines on all projects which include housing developments, commercial and private works across the south of England. Please contact us, for any of your requirements and we will be more than pleased to assist you. The UK’s largest stockist and supplier of metal Floor and Roof deck profiles. NDI specialise in the supply of drywall, insulation and ceiling materials to the construction industry. NDI are able to offer the most comprehensive and developing range of products and systems from well recognised, leading manufactures. NDI boast a wealth of technical knowledge as well as a fully trained and experienced sales team that naturally commit to unrivalled, dedicated customer service to suit the requirements of all their customers, whatever the project. The Louis Ross Foundation has been established to help young people facing difficulties and to remember and reflect Louis’ compassion and kindness and his ability to unite people through friendship. J M Scully is a second-generation family owned and managed business delivering main-contracting services to the Retail, Commercial and Leisure sectors. Our prevailing ambition is to continue building on over 30 years of controlled and profitable growth by providing our customers with empowered, experienced teams of construction professionals who embody our can-do approach, going the extra mile in a non-contractual manner leading to long-term sustainable relationships based on trust.